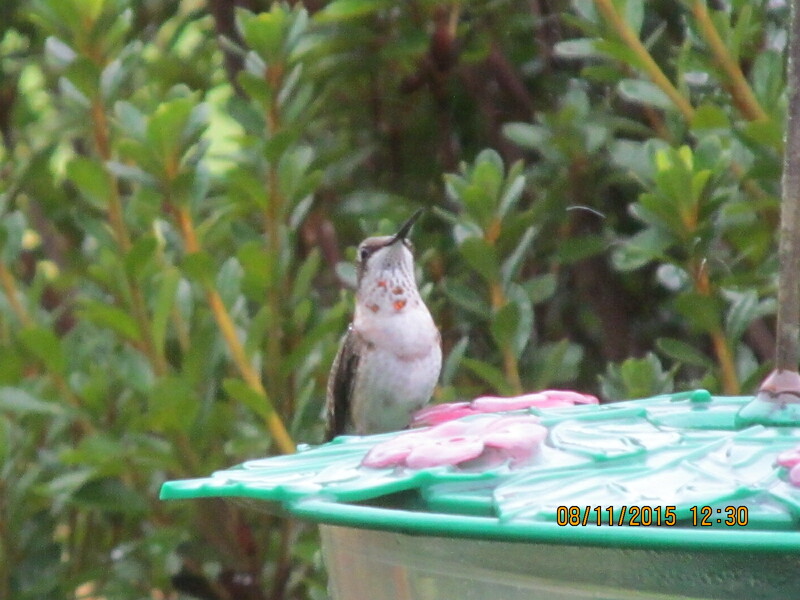 Female Ruby Throated Hummingbird readies for take-off to defend “her” feeder from rivals. In my area of South Louisiana, we have been fortunate to receive a little rain on August 11 and 12. The rain has cooled the temperatures to the point where it no longer feels like we are living on the surface of the sun! With the rain cooled temperatures, I have been able to sit on my porch for a few minutes and enjoy God’s beautiful creation, including watching the birds. I have been a bird watcher for almost as long as I can remember. In one house, we had a large picture window in the dining room. We would sit, eat our meals, and watch the birds at the feeder outside. One Christmas, I received a Peterson’s Guide to Wild Birds and we would identify the species, then check off the cardinals, chickadees, tufted titmice, and other birds as we saw them at our feeder. Female Ruby Throated Hummingbird takes a break from feeding to look for rivals. This passion of watching birds has continued as an adult. Now, one of my favorite things is to watch the hummingbirds when they are here in South Louisiana from March to October. I love that they are such talented fliers, able to hover in place or zoom by at high speeds. But I don’t understand why they have trouble sharing. 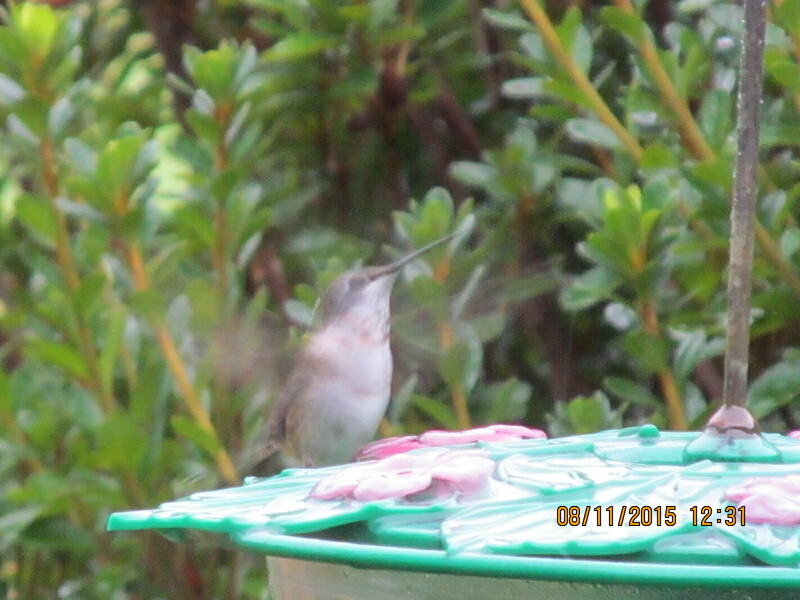 My hummingbirds would rather fight over a feeder (and the sugar water mix that is in it) than share a drop. Rubythroat.org says that this is natural and that the hummingbird is simply trying to protect its territory and food source http://www.rubythroat.org/RTHUTerritorialityMain.html. I guess these fights are not very serious as I have never seen, nor heard of, a hummingbird killed or injured by a rival’s attack. But I wish they would share instead of fight! It costs very little for me to feed them- the water is almost free, the sugar is inexpensive, and one 5 pound bag of sugar will last all season and beyond. Not to mention that I can make enough sugar water for weeks in only a few minutes. The hummingbirds fight over a resource that is almost limitless and comes at no cost to them. While I thought about the hummingbirds fighting over inexpensive sugar water, it occurred to me that humans are capable of doing the same thing. Oh, maybe we don’t fight over territory or food sources (though sometimes we might), but we are still good at fighting. As football is starting again, there have been several physical fights between teams, and even within teams, as players “fight” for playing time and a spot on the team. Political candidates are “fighting” for their party’s nomination and your vote. While political candidates may not be struggling with one another physically, they use “fighting words” that can sometimes be as harmful as physical confrontations. Several candidates are already in hot water over controversial, even derogatory, things that they have carelessly spoken. Some fights, though, are much more serious. As I write, peaceful protests in Ferguson, Missouri have again turned violent and a Shreveport police officer was tragically killed on a routine call. Then there are the fights that go on in our homes, hopefully mostly over homework or bedtime, but we know all too well that many times harmful words are used and sometimes, regretfully, physical force is sometimes used against those that we are supposed to love the most. Like my hummingbirds, humans are pretty good at fighting. Surely, you say, this would not be the case in the church. 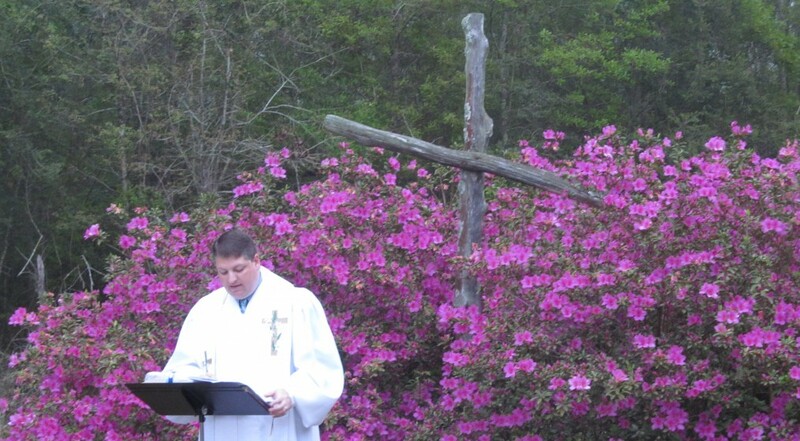 But, regretfully, our penchant for fighting can also spill over into the church. We are tempted to say that one ministry is better than or more important than another. We think that one church is greater than another or to talk uncharitably about our neighbor. We do all of this fighting with one another in the name of Jesus, who only hours before he was to be arrested, tried and crucified, prayed that his disciples would be one. “‘I ask not only on behalf of these, but also on behalf of those who will believe in me through their word, that they may all be one. As you, Father, are in me and I am in you, may they also be in us,* so that the world may believe that you have sent me.” John 17:21-22 NRSV. Maybe one reason we have been unsuccessful in winning the world for Christ is that we have spent so much time, money, and energy fighting among ourselves. Like the hummingbirds, we have been given an inexhaustible resource, the grace, mercy, and forgiveness of God. While it cost Jesus everything, God’s grace comes at no cost to us, except that we are called to give up our own self for God. The next time you and I are tempted to start or participate in a fight, maybe we should remember the hummingbirds and the grace, mercy, and forgiveness of God. This entry was tagged church, conflict, fighting, hummingbird, ruby throated hummingbird, territory. Bookmark the permalink.